The Bottega Conticelli is the atelier of Stefano Conticelli, a free and eclectic soul who lives and works in the countryside in Umbria, Italy, a land of history, tradition and culture. 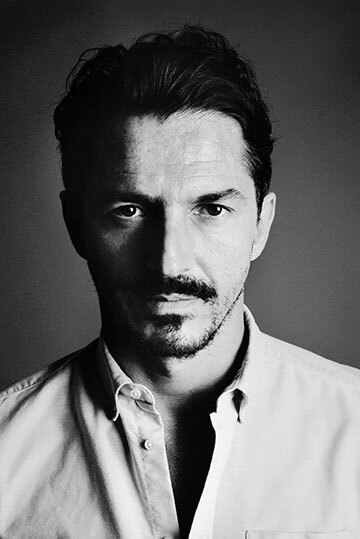 With creative blood in his veins, in his atelier he invents one-of-a-kind objects that come in limited quantities for Italian entrepreneurs and a selected clientele worldwide. Bottega Conticelli is a timeless space where large volumes and shortcuts are rejected for authenticity and uniqueness, and the manual work of the noblest materials. 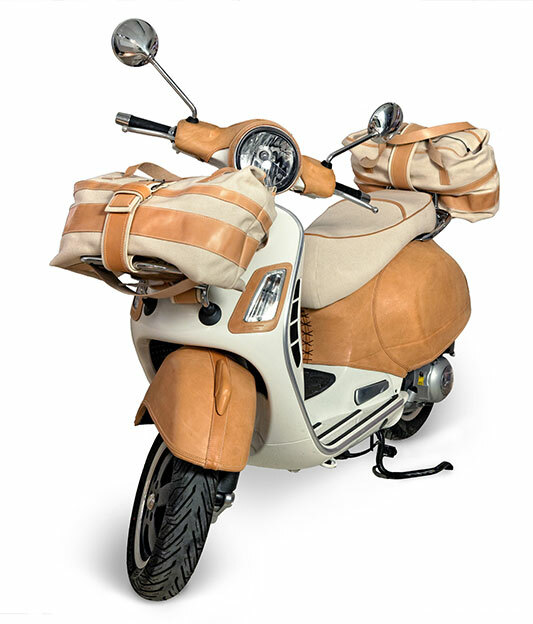 Conticelli’s creations vary in scale from the small cashmere teddy bear to a complete leather cover for a Vespa scooter. “There is no essential difference between the artist and the craftsman. The artist is an exalted craftsman”. These words by Walter gropius were published in 1919 in the Bauhaus Manifesto, and apply to Conticelli’s creations – in particular the ‘StaticComplicities’ project that comprises of that iconic couture Vespa cover – handcrafted in vegetal leather to perfectly fit the handlebars and wheelhubs of the iconic Italian scooter.